Have You Considered a Small Publisher? Many writers are finding truly wonderful homes at small publishers. I ran across this article recently and, if you've been finding yourself rejected by the big boys (and girls) in New York, you should investigate your other options. Victoria Allman's post on Write on the Water shares her viewpoints of selling and publishing her first two books in partnership with a small publisher, NorLights Press. The Google eBook site opened two days ago with 3,000,000 books from 2,000 publishers. Are YOUR books going to be available on Google eBook? Check it out! 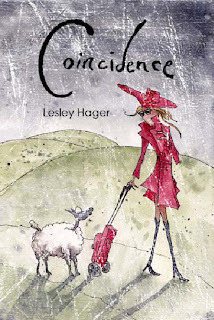 Lesley Hager is proud to announce the release of Coincidence, a contemporary romance novel published by Wings ePress, Inc.
ISBN: 978-1-59705-551-2 (trade paperback) and 978-1-59705-451-5 (eBook). 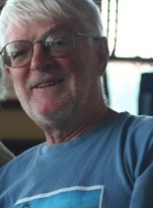 Hank Quense writes humorous and satiric fantasy and scifi and an occasional work on fiction writing. This material was taken from his book on fiction writing Build a Better Story. See http://hankquense.com/BABS-main.html for more details on the book. Plots: A good story has a plot that integrates the elements of the story and allows the reader to suspend her disbelief. In other words, the reader is willing to accept that the plot didn’t happen but could have. To ensure that the reader stays comfortable in her state of suspended disbelief, the writer must eliminate any trace of unbelievable events. These types of events will lurch the reader out of suspended disbelief and end the relationship between her and the author. Yet, the events in the soaps are incredible. A woman falls out of an airborne balloon damaging her hairdo and nothing else. A long-lost object, the subject of a weeks-long futile search, is found by a character with a single phone call to an obscure part of the globe. To a TV-watcher, these incredible events do not stand out because the incidents are masked by the other presentation elements. By listening only, the plot flaws become apparent as does the danger in writing a story with an incredible plot. Endless scenes: Good writing means a scene ends at a point that teases the reader into turning the page to see what happens next. The soaps, however, won’t give up a good scene without a fierce battle even if the scene has reached its logical conclusion. The same plea/order/advise/command/request/chastisement is repeated for several days. In one soap, a female character held several others hostage and waved a gun at them for an entire week. Every afternoon, she gave the same reasons for her actions in virtually the same words. It’s a wonder her hand didn’t get tired from holding the pistol that long. To offset the soaps, the writer can listen (no peeking!) to Law and Order or one of its many offshoots. Like the soaps, these shows rarely have action scenes and are essentially all dialog. Unlike the soaps, the characters show a range of emotions, speak naturally and don’t use clichés. The plots are coherent and the tension builds during the show. Contrasting one of these shows with the soaps can only serve to improve the writer’s craft. So, with all these faults, why are the soaps so popular? One basic reason is that the soaps consist of a lot more than the written word. The beautiful people in the cast, the designer clothes and the background music provide enough stimuli to hid a weakness in a single area such as the dialog or plot. In contrast, we fiction writers can only use our words to convince a reader that our characters are worth caring about. We can’t use colorful or picturesque backdrops for the reader to see; we use no soundtrack and the characters can’t model the latest fashion designs. The reader has to use our words to build her own mental images of the setting and the characters. While the soaps and novels have very different presentation formats, the script elements of the soaps offer a method for fiction writers to refurbish their writing tools. I recommend a yearly exposure to a few soaps to eliminate rust and to apply a coating of lubricant to keep the writing tools in good condition. A Simple Amish Christmas is an Amish contemporary inspirational romance, published by Abingdon Press. 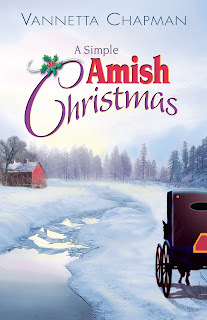 It's Christmas, and Annie Weaver misses her family after leaving her Amish community to work at a distant hospital. But when she hears that her father has been gravely injured in a buggy accident, she rushes home to care for him. Her passion for healing catches widower Samuel Yoder's attention. Will she also capture his heart? Character Reactions: Memorable characters display a range of emotions just like people do in real life. The more emotions a character can display, the more life-like the character seems. In the soaps, two primary emotions are used by the characters: hostility and hysteria. A friendly greeting by one character is often met with a torrent of abuse from a second. It’s a rare occasion when a character’s dialog isn’t filled with argumentation, whining or out-right threats. Listening to this dialog becomes irritating and demonstrates what a reader will experience if we writers use limited and repetitious character reactions. Multidimensional Characters: These types of characters are inherently more interesting to readers than flat, one-dimensional characters. These latter types quickly grow stale and detract from other elements in the story. The soaps, however, specialize in single-dimension characters that never display any variations. Day after day, scene after scene, the characters remain as unchanging as the mountains. The same dialog, sentiments and verbal mannerisms are endlessly repeated. Of course, on TV, the characterization may be rigid but the costumes change, as does is the setting and the background music so the repetition doesn’t appear as static to the viewer as it does to a listener. High Tension and Drama: Whenever the script calls for a strong emotion such as grief, terror, consternation, fear, love, dread, shock or apathy, the actors whisper their lines. Apparently, this is a code to tip off the viewer that a scene of high tension or deep emotion is taking place. This ploy is especially useful to fiction writers because it demonstrates the effect of uniform emotional responses by the entire cast. It’s not very entertaining and neither will be a story that uses this unvarying approach. Unnatural dialog: Nothing is more boring to me as a reader then stilted and unnatural dialog. Many novice writers have trouble understanding just what constitutes this type of dialog but the soaps provide countless examples. Characters lecture each other about an aspect of the plot that the entire cast already knows (as do the viewers). Known as expository dialog, it is to be avoided at all costs since the reader will instantly recognize it for what it is. Another facet of the soaps is that characters routinely give long-winded speeches punctuated with words that no one uses in ordinary conversations. Often, the dialog clashes with the character’s persona. For instance, a character portraying a poorly educated worker will suddenly spout large, obscure words that make a listener wonder if the character understands what he just said. Foreign accents: Writing instructors caution against giving a character a foreign accent. One reason is that it is difficult to be consistent with the accent from one scene to the next. A more important reason is that the accent soon becomes irksome to the reader. The soaps offer endless proof of this guideline. Many of the shows have one or more characters spouting dialog with an accent so wretched it is amusing. For a short while. An alternative to these accents is to let the character use an occasional foreign word in the dialog. The foreign word reminds the reader of the character’s background. Clichés: Clichés are the bane of writers everywhere. Nevertheless, the dialog in the soaps drips with clichés. Every imaginable cliché can be heard on these shows, and not occasionally but constantly. To listen to this smorgasbord of platitudes is to understand the prohibition against using them. Check back on December 3rd to read the final part of this article.